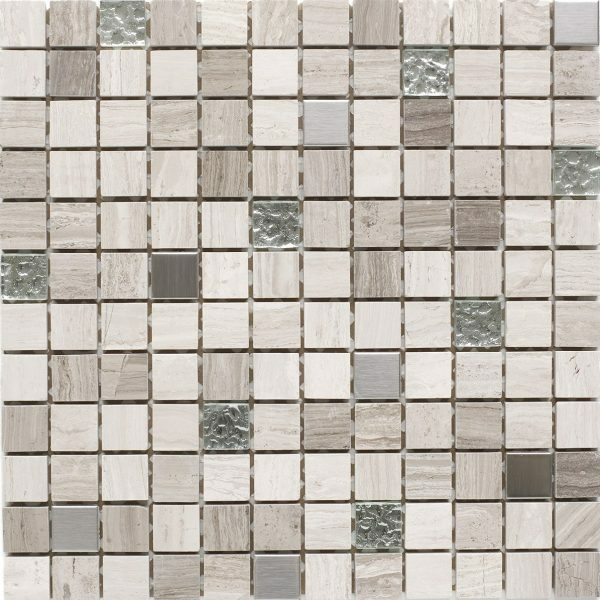 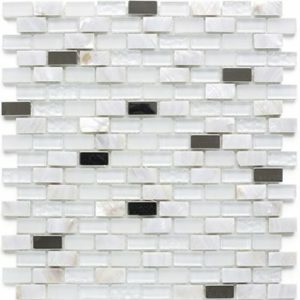 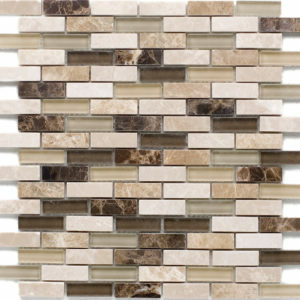 Our Zamorra range is a mix of metal and stone mosaics each mosaic sheet is 300mm x 300mm on a mesh backing. 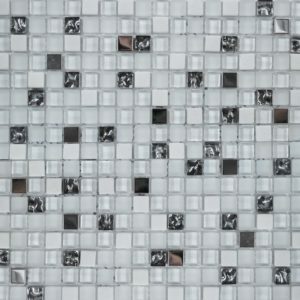 Internal chips measure 23mm x 23mm. 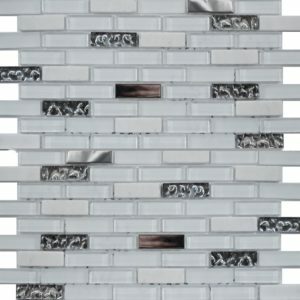 Also available as a 15mm x 48mm bar and 15mm x 48mm offset brick mosaic.